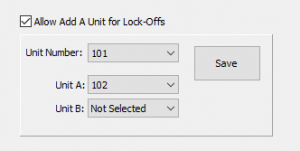 Lodgical Solution Enterprise now supports selling lock-off units on web-booking engines. Lock-off units, also known as add-ons or adjoining rooms, are units that have access to each other via a connecting door. 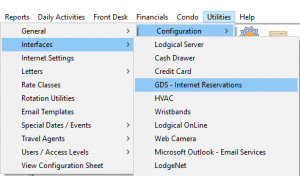 Before configuring the CRS interface, Lodgical must be configured to support lock-offs in the general settings of Lodgical. Each lock-off must be set up in Lodgical, as well as on the CRS side. Once these are configured in Lodgical, rates must be created for each grouping in Rate Classes. The CRS Interface can now be configured with the CRS mappings. The CRS value is the value in your GDS platform for the unit. The LockOff is the value in Lodgical for the unit. If you have any questions, contact Bay Lakes at 920.743.0606.